It often happens that some of the best jobs are in the city, and if you are ambitious and want to further your career, or have a young family to support, it’s quite likely that at some point you’ll need to consider a move. Living in the city is very different from being in the countryside or a town, where you are only minutes away from the peace of a rural environment, and there are several important considerations you need to think about before taking the plunge. 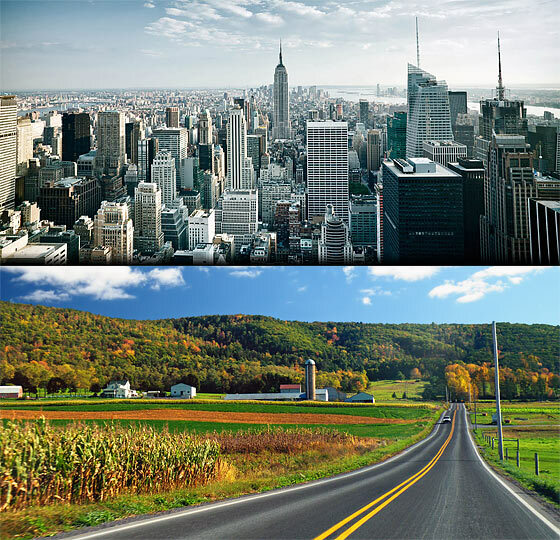 Cities are usually vast inhabited areas that cover many square miles of land and can take hours to get through. Of course, some places that are technically cities are really more like towns but have the designation of the city because of the presence of a cathedral. Wells in Somerset is the smallest city in England and bears little resemblance to a large metropolis like London. However, when most people think about cities, they think of the major places like London, Birmingham, or Manchester for example. Everything is seen as being much faster paced in a city, but in reality, it’s not so much that the pace of life is faster, it’s just that there is far more going on around you all the time. Workers outside the city aren’t slower or less productive than their urban counterparts and taking up a city job doesn’t mean you’ll suddenly be expected to work at a faster rate. What you’ll find is that the pace of life is very similar to what you are used to, but the intensity is increased; many more people, far more going on, and very little let-up. It is quite surprising though how quiet the streets can be away from the central areas, even just a few rows back, so don’t imagine there’s no peace to be had in a city. The main problem with cities, especially the capital, is that the house prices are far higher. For this reason, many people choose to rent, especially if they foresee their stay in the city as being temporary. Rents are by no means cheap either though, so if you can afford to buy you will at least have something to show for the money you’re spending each month. Intercity transport is usually pretty good and can enable you to live a little further out from the city centre, so check out what the local transport links are like before deciding on a location. When you find a prospective property that you like and that meets all your needs, engage a London conveyancing solicitor in checking for any issues with the building and environment, so you can be sure there won’t be any nasty surprises like a sewage treatment plant being built nearby. If you feel wary of city living, remember it can be an amazing cultural experience for you and your family. Even if it’s just for a few years, embracing the benefits of city living will be a rewarding and memorable experience, so don’t be afraid to give it a try.